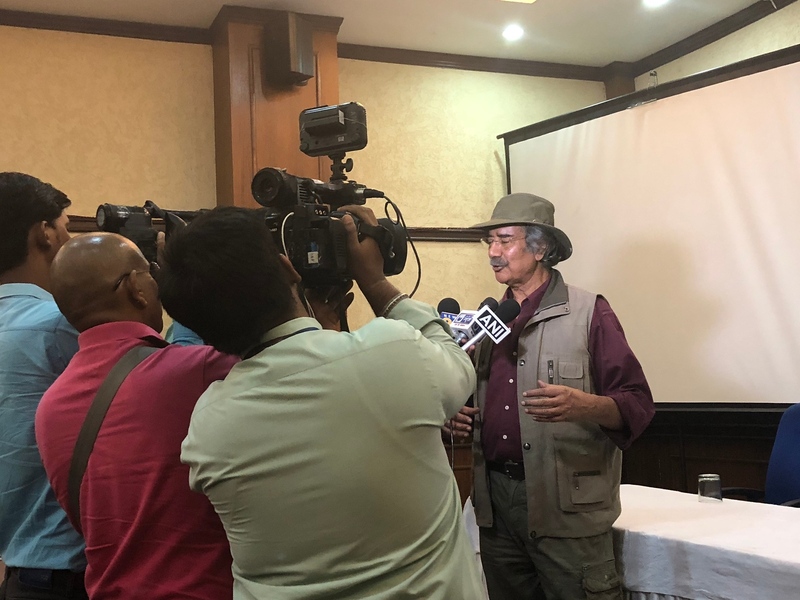 Mike Pandey, the National award-winning wildlife filmmaker and environmentalist, released another film in Delhi highlighting concerns about the conservation of the river Ganga. As Uttar Pradesh’s Ecotourism and environment Ambassador, Mike has been working under the state’s Ganga Hritima Abhiyan and this is the first of a series of related events and films envisioned for the same. Mike is a revered face around the world and the only Indian filmmaker to have won three Wildscreen Panda Awards, better known as the Green Oscars. While talking about the project, Mr Pandey said that Ganga, a life force which gives livelihood and living environs to more than 50 crore Indians is the true symbol of the country’s democratic and all-inclusive character. He praised the Uttar Pradesh Chief Minister Yogi Adityanath for having taken this initiative in February this year by starting the Ganga Haritima Abhiyan in Allahabad. In the capacity of the state’s brand Ambassador, Mike would take active steps to propagate and popularize Eco-Tourism (of the sustainable kind) and would raise awareness for conservation of Environment, Forests and Wildlife in the state. Yogi’s choice of Mike shows the CM’s intentions of truly improving the condition of the Ganga riverine realities. Mike Pandey has been known to bring the world’s attention to environmental concerns. He has, in the past, brought about legislative reforms with the power of his potent films on various environment-related subjects. This will not be limited to the cleaning of the river, but would also entail greening of the surrounding and be enriching the lifestyles of the people in the area. The film released in the Press Club in Delhi, in the presence of a group of enthusiastic journalists and audience, is entitled ‘Ek vyakti-ek vriksha’. It is highly evocative and talks about the issues of the river without placing blame on the humankind. The urgent need for improvement is strongly highlighted in the film, and this makes it for a refreshing watch. It manages to bring out the emotions for a life-giving river without having a preachy tone. Mike, like a true master of his craft, has managed once again to bring to the fore environment concerns and what we can do to combat the impending dangers.